As part of the e-learning course, a number of resources are referenced and can be found on the website. 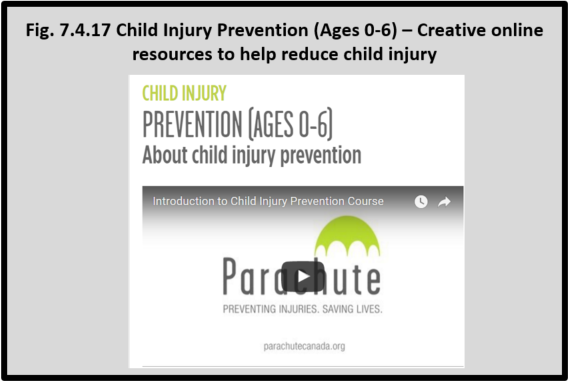 Parachute Canada, a national, charitable organization dedicated to preventing injuries and saving lives, has developed a website and free e-learning course specifically targeted at injury prevention for children aged 0 to 6 years. The website and e-learning course are targeted to people who work with families of children aged 0-6, particularly families that may be new to Canada, have low literacy levels, or live in rural or remote places. The website has a wealth of information for those interested in injury prevention for children 0 to 6. It contains a number of resources including the e-learning course.